What is a dog ACL surgery? 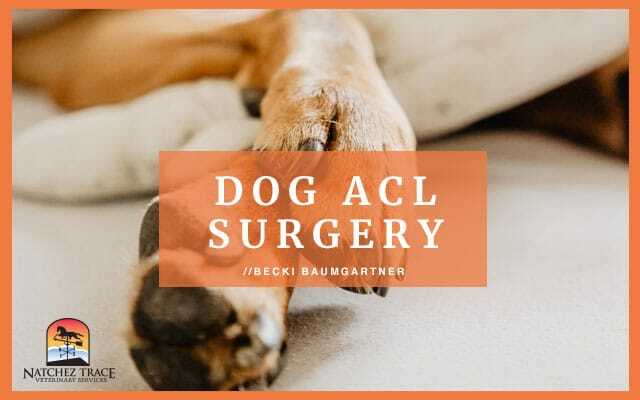 Dog ACL surgery or otherwise known as canine cruciate surgery is a very stressful and expensive endeavor for dog owners. This type of procedure is used to repair a torn cranial cruciate ligament in your dog’s knee. Nobody likes to see a beloved family member in pain. The list of questions going through your mind may be infinite. How much does a dog ACL surgery cost? What is the success rate of dog ACL surgery? Are other options available aside from ACL surgery? Which surgery should I choose? We’ve compiled some information to help you better understand the options available. This list can help you to make the best choice for your dog. There is some good news: Maybe you can bypass surgery at this time? Yes, sometimes you can skip surgery and opt for prolotherapy instead. During prolotherapy, the veterinarian injects an irritant solution into the tendon or ligaments. These prolotherapy injections stimulate healing of the ligament tear and relieve pain. If your dog suffers from a torn cruciate ligament, you are well aware of your dog’s pain. Most likely, a trip to your vet results in a recommendation for surgery. Often, family veterinarians do not perform bone cutting surgeries. Your vet may refer you to a specialist. And most specialists recommend a “bone-cutting” type of surgery to repair a torn ACL. Slightly outperform (3-5%) the fishing-line technique in long-term function. Have shortened recovery times and faster resolution of post-surgical pain. Unfortunately, bone-cutting surgeries cost an average of 50% more than the fishing-line technique. Furthermore, if something goes wrong during surgery or the recovery period, the complications could include the loss of your dog’s leg. For this reason and in most situations, we offer the “fishing-line” technique as an option to our clients. Tibial Tuberosity Advancement is the newest, most innovative canine knee surgery to date. TTA surgery may be a better option than regular ACL surgery for high-energy dogs weighing over 50 lbs. For best results, you must institute physical therapy immediately after surgery. In fact, good post-surgical rehabilitation can even be the difference in whether or not the dog ACL surgery is successful! Studies show 50% of dogs who tear one cruciate ligament will tear the ligament on the opposite side sometime in the future. The reported statistic is 50% but in real life, the percentage is probably closer to 70%. The reason for the probability of injury on the opposite side is because often after surgery, the “good” knee becomes overused. As a result, overuse or excessive weight-bearing initiates tearing of the cruciate ligament in the “good” knee. There are several ways to prevent the second injury to your dog’s knee. 6. Dogs are Individuals and Have Individual Needs, Just Like People! Last but not least, please don’t forget your dog is an individual! Your dog’s health status is unique, and your dog has individual needs just like you! At Natchez Trace Veterinary Services, we know dogs are individuals. We treat each dog as an individual, and no two treatment plans are the same. Contact us today to learn more about dog ACL surgery cost and success stories!